Weimaraners are friendly pets that are bred for great athletic capability. 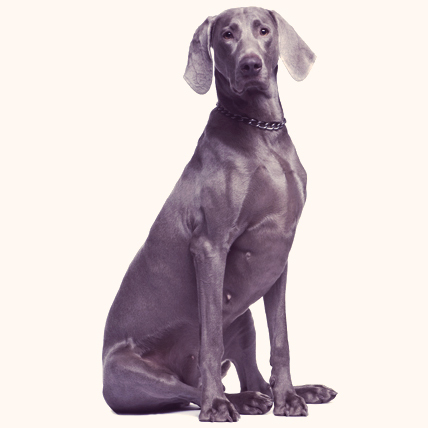 The short grey coat on Weimaraner dogs is unique and very easy to maintain. The big, fast, and intelligent dogs are all about exercise and being given problems to solve. Sometime around the 17th century, the Weimaraner was first bred to be a great hunting dog, used to help hunt large game, although now they are predominantly used as bird dogs. Able to trace their roots back to the Bloodhound, this dog makes for an effective tracking dog, and an even better pointer. Widely known as the "silver ghost" because of their unique coloring, this dog has been the subject of a number of famous pieces of art, most notably being posed in people's clothing by famed photographer William Wegman. They were first recognized by the AKC in 1943. Weimaraners are a medium to large sized dog with an athletic build. Their eyes, which can be amber, blue-grey, or grey, give them a thoughtful expression. Their diamond shaped ears droop down alongside their long and regal looking head. Their fur is short and smooth, and most commonly found in some shade of gray. Weimaraners are smart, happy, and affectionate. They are great with children and are easy to train. However, despite their easy going disposition, if their training should get repetitive, this breed will get bored and stop taking directions. They require a firm, but gentle, hand when being trained and socialized, otherwise they may become difficult. 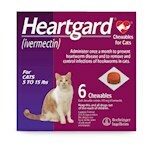 If they are properly cared for, this breed makes for a kind, playful companion. Weimaraners can be brown, tan, blue, or grey.